Rule Breaker • Run Hard. Rest Well. I met a nasty deer fly today. The thing was out for blood. Mine! His assault was constant and creative. Relentless, he made my morning walk quite miserable. Look at what _________ is doing! Jesus was a rule breaker when it came to rules that kept him from God’s best. It’s a long list – all the rules Jesus broke. Is there a rule in your life that drives you from God’s best? What rule—what man-made, self-inflicted mandate can you dismantle this week in the name of freedom, hope and love? I WILL TAKE A BREAK only WHEN MY WORK IS DONE. There is a time to work hard, late into the night. But when this DICTATE relentlessly chains us to a pace unconducive to LIFE, liberty and laughter, something is wrong, terribly wrong. Are you ready to begin conquering those lies? Click here (https://runhardrestwell.com/start/#where-to-begin ) for help and hope that shines a light on a better way. I was thinking about this earlier. We often equate rest with “do nothing”. A trip to the beach, mountains, a walk in the woods. We just think of the calgon commercials of long ago…take me away. But that’s not really rest. The do nothing actually puts more pressure on me as the tasks pile up. So what is rest and how do we get it? How do I get it. As I release all the little bags of worry that I picked up alongside the road, and cast them onto Jesus….as He sorts them out, I begin to see what is mine to carry….and is not. As I learn to say “no” to the demands of people and yes, only, to the demands that Jesus has for me, I begin to draw closer to Him and His will for my life. His yoke is easy. Jesus made a yoke that He and I use. It’s not the same yoke as anyone else has. If I go too fast…it rubs. If I go too slow…it rubs. He will keep applying salve to the places I rub raw. As I learn to go close and listen, I begin to understand my Kingdom role. 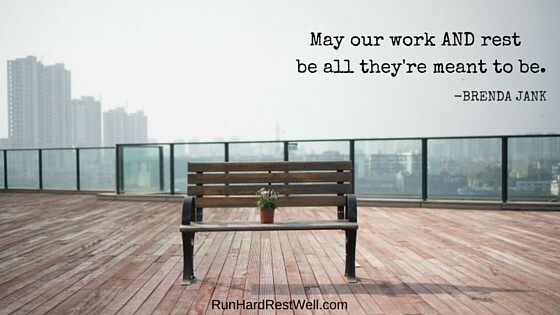 When I work for the Kingdom, and in the Kingdom, then peace rules, and there is rest. Do I have this down? LOL! Oh, please! NO! But I’m better. My Abba is Patient and I am so glad. Powerful imagery! ” Jesus made a yoke that He and I use. It’s not the same yoke as anyone else has. If I go too fast…it rubs. If I go too slow…it rubs. He will keep applying salve to the places I rub raw. As I learn to go close and listen, I begin to understand my Kingdom role.” Now that’s breaking the rules – the rules I try to impose on myself. Thank you!